The hermitage is reached by climbing up a short path and a stairway of 102 steps carved into the rock. 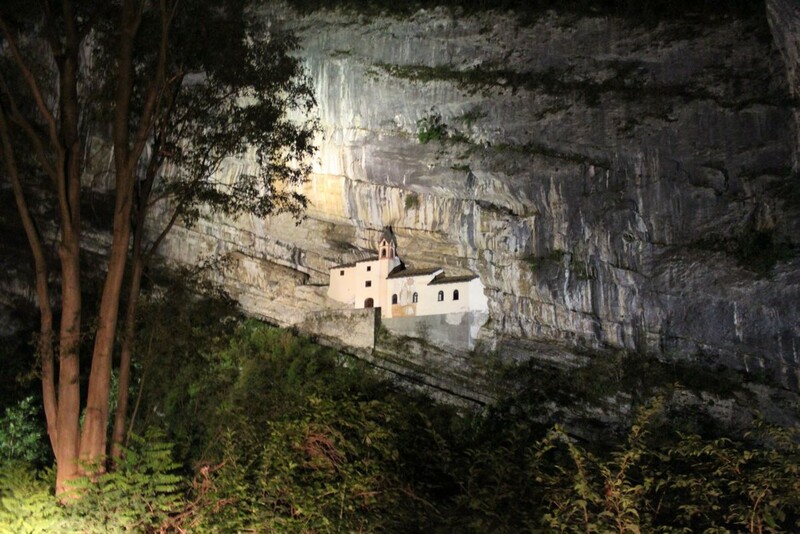 The hermitage of San Colombano is built halfway up a sheer cliff face of approximately 120 metres high. Sheltered by a roof of natural rock, it is dedicated to the saint who, according to legend, as a young knight killed the dragon that caused the death of children baptized in the waters of the river Leno below. The Hermitage appears to have been inhabited since 753, the construction of the church and the annexed hermitage dates back to the tenth century.